Dog flipping out bottom left. - Rod and Kate for convenient local dog walking. 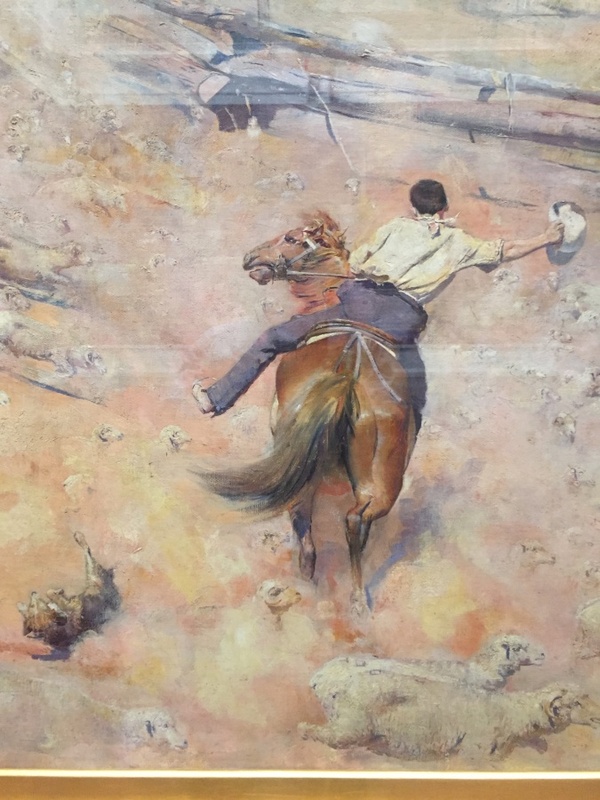 commented on "Unlucky little cattle dog adds some humour to Tom Roberts iconic oil painting of 1891 ' The Breakaway ' in Adelaide's Art Gallery of ..."
Dog flipping out bottom left. Unlucky little cattle dog adds some humour to Tom Roberts iconic oil painting of 1891 ' The Breakaway ' in Adelaide's Art Gallery of South Australia.